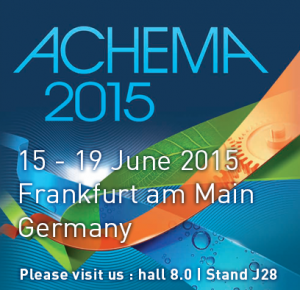 ACHEMA is the world forum and leading show for process industries, the top of the innovative technology for chemical engineering, environmental protection and biotechnology. The 31 th ACHEMA is again the point of leading international meeting place for decision makers and experts from all industries. SOMEFLU will be present in 2015 and hope that many of you will visit us.